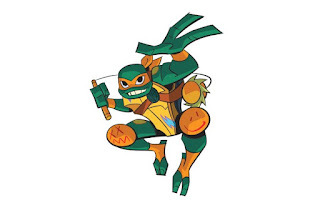 It's Rise of the TMNT day! 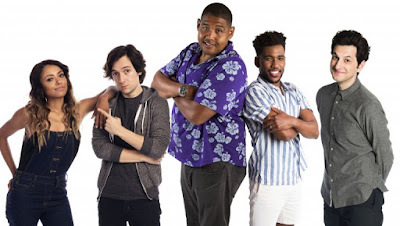 Here are the final character designs for the new show, launching later this year! 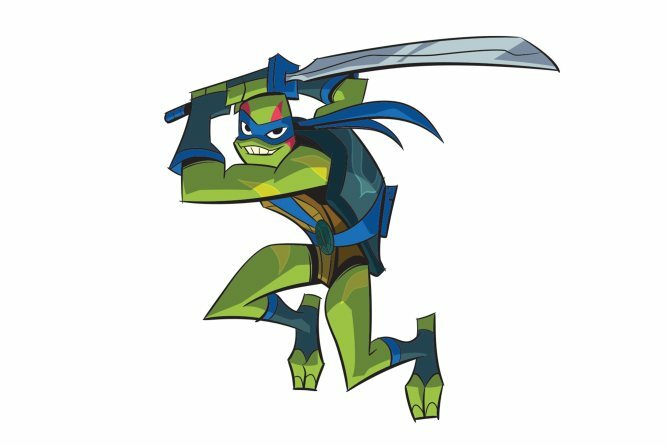 Raphael (Omar Miller) is now the leader and oldest brother, a snapping turtle who brandishes twin tonfas as his weapons. 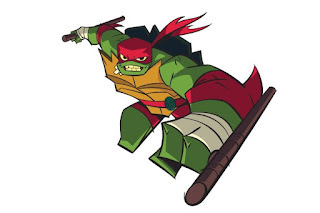 Leonardo (Ben Schwartz) is a red-eared slider who boasts "irreverent charm and a rebel heart." Weapon of choice: ōdachi sword. Box turtle/skateboarder/artist Michelangelo (Brandon Mychal Smith) is the youngest brother — and dangerous with a kusari-fundo. 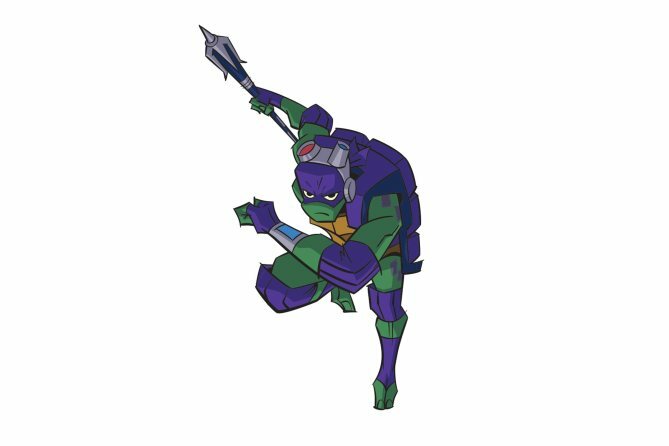 Soft-shell turtle and tech hero Donatello (Josh Brener) rocks a tech-bo staff and impressive coding skills. 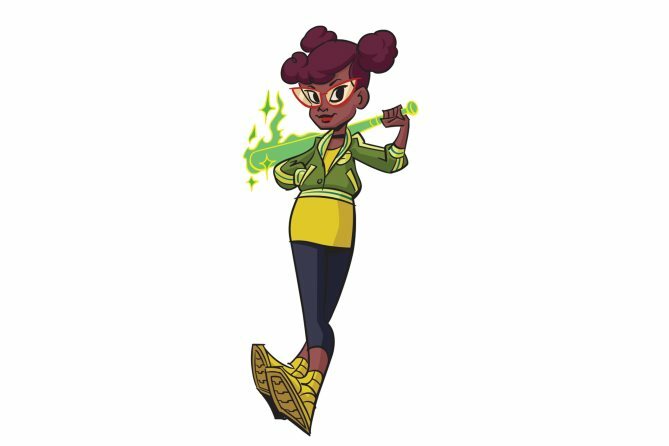 The first African-American April O'Neil (Kath Graham) is a savvy New Yorker and first human ally of the turtles. 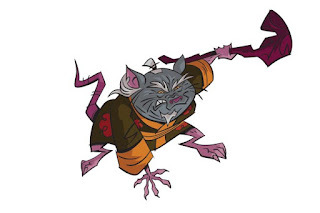 Splinter (Eric Bauza) is part father figure, all sensei to the turtles. 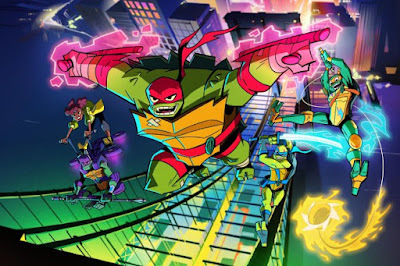 Everything We Know About "Rise of the Teenage Mutant Ninja Turtles"
In March, Nickelodeon announced that the current TMNT CGI series would be replaced next year by a new 2D-animated series, "Rise of the Teenage Mutant Ninja Turtles." The series will be headed by Andy Suriano (character designer for Samurai Jack) and Ant Ward (supervising producer of the 2012 series). "Rise of the TMNT" is said to be lighter and more humor-oriented than the 2012 series. UPDATE: The first official details, including the voice cast, have been revealed! Read about it here! 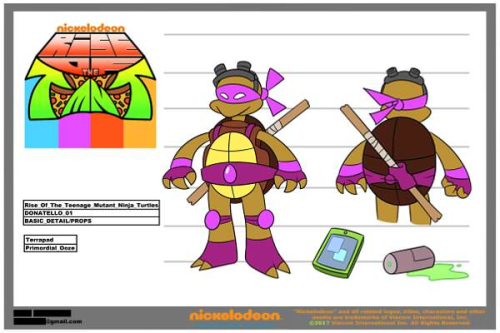 NOTE: The following 4chan "leaks" are confirmed FAKE by Nickelodeon Animation Studios. I am keeping it posted here to keep clear what is and isn't confirmed. This supposed character design for Donatello is also 100% fake. The new designs are actually said to be nothing close to this. Expect the new designs to be officially revealed next February during Toy Fair.